As a property owner in Florida, you already know insects are everywhere! You also probably know the dangers of biting insects like mosquitoes, and wasps. Not to mention, the property damage that comes with termites and the annoyance of swatting at bugs while trying to enjoy your time outdoors. Like most homeowners, you likely take precautions when it comes to protecting the inside of your home from pests. However, outdoor areas like pool cages, screen enclosures, and boat docks are often forgotten. Don’t let these areas be plagued by pests, let Superior Spray Service protect your property with our affordable spray treatments! There are some factors that you cannot protect your screen enclosures and pool cages from but pests are not one of them. 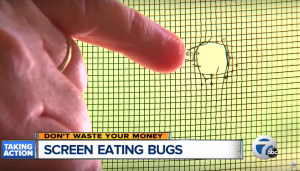 Grasshoppers, crickets, and wasps are the biggest threats when it comes to screen destruction. If left unchecked, these bugs can completely destroy your screens, ruining the investment of hundreds—or even thousands—of dollars. 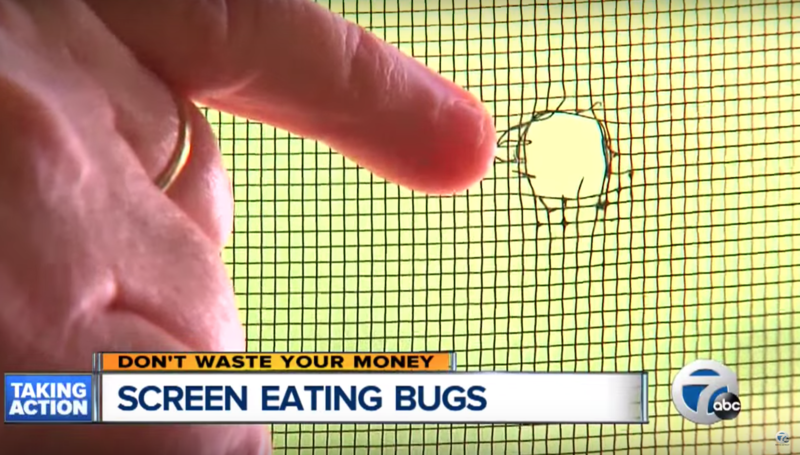 Not to mention, once you have a hole in your screen all kinds of annoying bugs can get in! Treating your screened areas for pests can prevent future damage. This is one maintenance task that is worth is totally worth it and protects your screen enclosure/pool cage investment! So get back to enjoying your pool and patio again with our affordable spray services for outdoor areas. 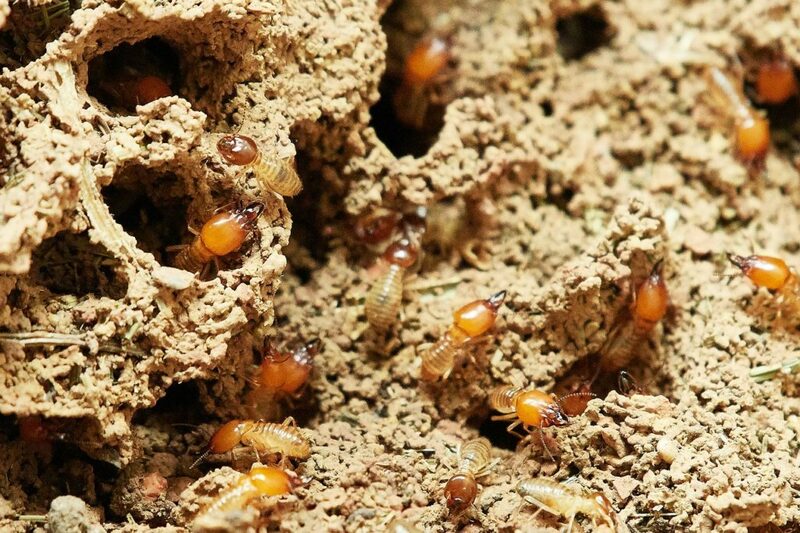 Termites are not a passenger you want on your boat but that’s what can happen if you leave it unprotected. These pests are not deterred by water and can devastate your boat, dock, and other wood structures. 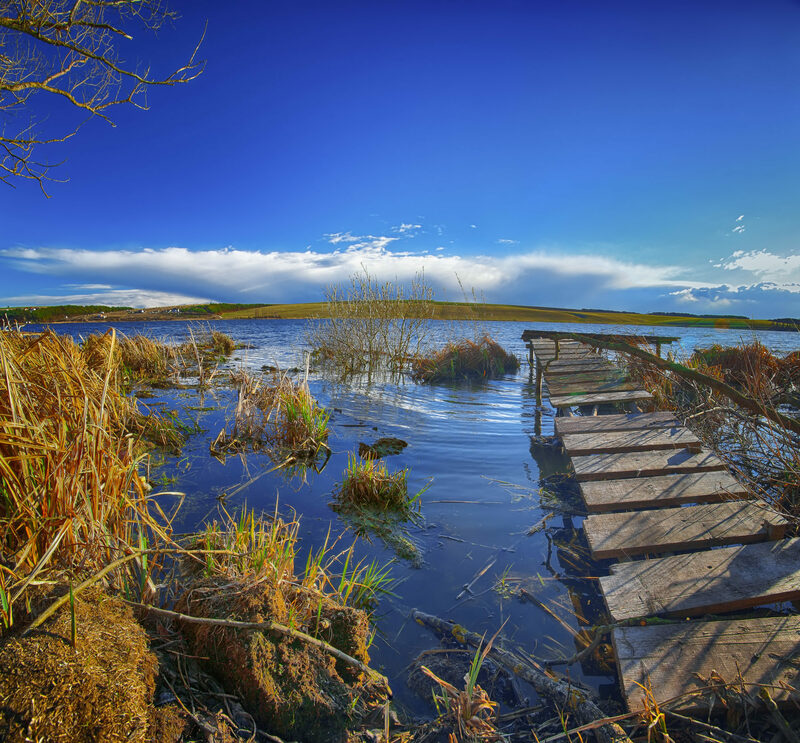 If your boat dock is made of wood, and they typically are, it is easy for termites to take up residence there. 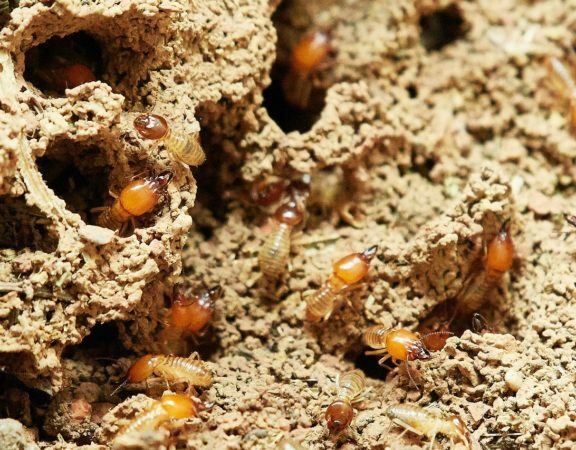 Termites are known to swarm during warmer temperatures, which means the threat is usually always present here in Florida. 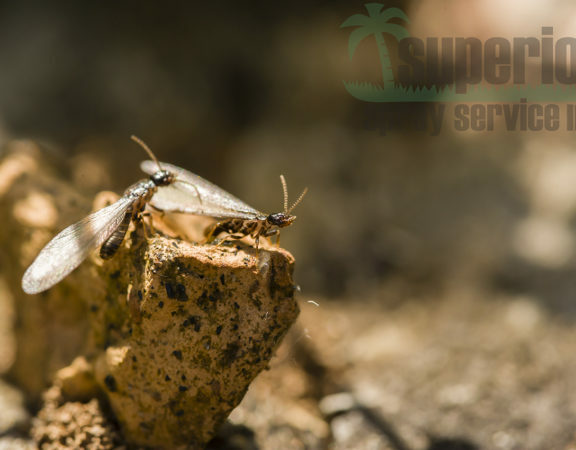 An easy way to protect your dock – and your boat – from a termite tragedy is to protect it with a prevention plan from Superior Spray Service Inc.
As you read above, pests can do a lot of damage to your outdoor areas such as pool cages, screen enclosures, decks and boat docks. On top of this, pests are just downright annoying and prevent you from fully enjoying your outdoor experience. Let Superior Spray Service Inc. take care of these pests for you with our affordable spray services. Then you fully enjoy your wonderful Florida lifestyle that all of your out of state friends and family envy. Our pool cage and screen enclosure treatment will protect against spiders as well as all types of stinging and non-stinging insects. We can extend this treatment to your deck or boat dock as well. There is also an option to use a totally organic product that is perfect for treating areas around bodies of water or outdoor gardens. Concerned about termites on your deck or boat dock? We have varying treatment and prevention plans to choose from backed by money back guarantees. Last but certainly not least, we all know spring is just around the corner and mosquitoes are already starting to appear. (Do they ever really disappear in Florida?) 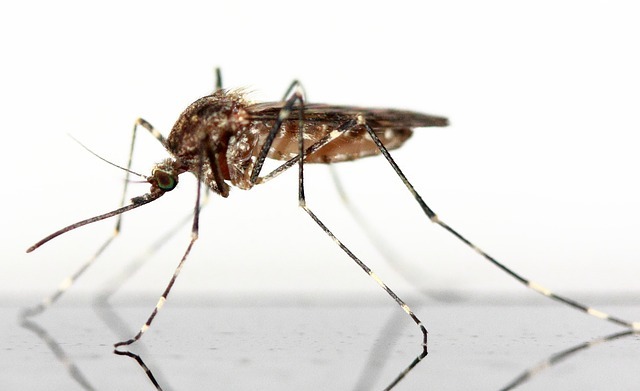 Superior Spray Service Inc. can eliminate these pests by treating your outdoor areas with our state of the art mosquito misting equipment and effective barrier spray. This barrier spray treatment is also effective on fleas, ticks and some flies. To learn more, call our office at (863) 682-0700 to schedule your FREE inspection and estimate with one of our professional pest control experts. 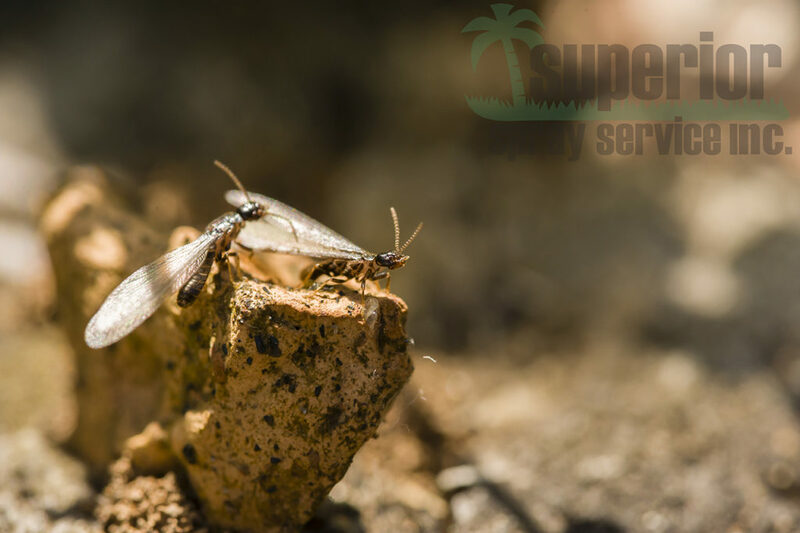 Superior Spray Service Inc. is proud to serve the pest control needs of residential and commercial clients in Lakeland, Orlando, Tampa and surrounding areas.